In 2003, British Waterways (BW) (the predecessor of CRT) introduced a Trial Mooring Code requiring Constant Cruisers to travel a staggering 120 consecutive lock miles every 3 months, and log their cruising in a book available to patrol officers on demand. BW claimed this was necessary due to overcrowding and overstaying. The new policy was scrapped however, following profound pressure from the boater community, local user groups and an independent consultation. The independent consultation examined opinions and impacts on the entire boater community, particularly the impact on healthcare access, education, employment and benefits. The 2003 campaign showed that we can win, which is why now, as we face a similar fight with CRT, it is important to reflect and learn from previous successes. 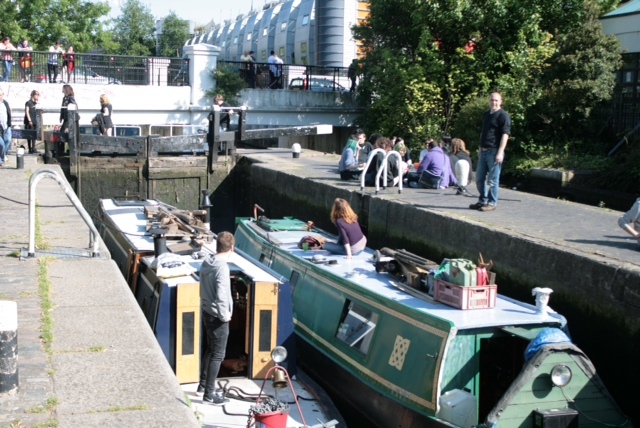 The boaters toilet at Old Ford Lock in Hackney will be re-opened this weekend following an agreement between the Canal and River Trust and the London branch of the National Bargee Travellers Association following the recent Forage For Facilities event. The toilet was closed a few years ago due to vandalism, but following the negotiations as part of the Forage for Facilities, the toilet will be fitted with a padlock and be in use again on Monday 19th October, 2016. As part of the refit, a new rubber seal will also be fitted to the elsan to stop it clanging. CRT claim that they spent over £10,000 on repairing vandalised boater facilities in London so far this year. 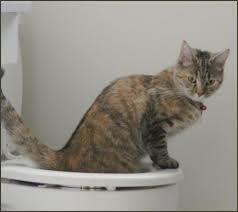 It is believed that London Mayor Boris Johnson may be coming to the opening ceremony to cut the ribbon and take the first dump. Campaigning by the National Bargee Travellers Association (NBTA) and other groups has meant that the Canal and River Trust (CRT) has now adopted a standard procedure for assessing and agreeing adjustments to its enforcement procedure for boaters with disabilities and chronic illnesses. If you have a disability, are older, or are pregnant, you are entitled under the Equality Act 2010 not to have the enforcement policies and procedures of Canal & River Trust (CRT) or any other authority applied to you in the same way as they would be applied to the majority. The National Bargee Travellers Association has assisted a number of boat dwellers without home moorings to negotiate ‘reasonable adjustments’ to CRT’s enforcement procedure. For example, a boater who uses a mobility scooter is now able to use visitor moorings for 14 days at a time without attracting enforcement action, because he needs to be moored on a hard edge to get the mobility scooter on and off the boat. In another case in London, a boater on a restricted licence with ongoing mental health issues, who was being supported by a NBTAL case worker, was offered an Equalities Adjustment to their cruising pattern by CRT. However, prior to the restricted licence, CRT had failed to inform the boater of the Equalities Adjustment policy, despite the boater informing them of their illness and treatment. If you are disable or have a chronic illness lasting more than 12 months, it is important that you make sure any CRT enforcement officer you are in contact with is aware of this policy. If you have a disability, are older, or are pregnant, you are entitled under the Equality Act 2010 not to have the enforcement policies and procedures of Canal & River Trust (CRT) or any other authority applied to you in the same way as they would be applied to the majority. For example, this means CRT cannot tell you that you should not be living on a boat because you are disabled, “too old” or pregnant. These rights are in addition to the rights of all boaters without home moorings on CRT waterways to stay in one place longer than 14 days if it is “reasonable in the circumstances”. As a result of campaigning by the National Bargee Travellers Association (NBTA) and other groups, CRT has now adopted a standard procedure for assessing and agreeing adjustments to its enforcement procedure for boaters with disabilities. According to Sections 13 and 14 of the Equality Act 2010, direct discrimination occurs if a person is treated less favourably than others because of one or more of the protected characteristics defined in the Equality Act 2010. According to Section 19 of the Equality Act 2010, indirect discrimination occurs if a provision, criterion or practice is applied to a person with a protected characteristic and puts them at a substantial disadvantage compared to the application of the provision, criterion or practice to a person who does not share that protected characteristic, and the person or organisation applying the provision, criterion or practice cannot show that it is proportionate a means of achieving a legitimate aim. The protected characteristics that are most affected by navigation authorities’ enforcement practice are disability, age, pregnancy and maternity. Termination of the boat licence following enforcement action by CRT is a substantial disadvantage in that it automatically leads to action under Section 8 of the British Waterways Act 1983 that evicts the boat dweller and their boat from CRT waterways for life by means of an court order and an injunction. This obviously renders the boat dweller homeless (because CRT controls 80% of the UK’s inland waterways) and puts the boat dweller at substantial risk of losing their boat altogether by having it seized by CRT under Section 8 of the 1983 Act if they cannot remove it themselves. A disability is defined by Section 6 and Schedule 1 of the Equality Act 2010 as a physical or mental impairment that has a substantial and long-term adverse effect on a person’s ability to carry out normal day-to-day activities that has lasted for more than 12 months. You don’t need to be registered disabled or to have a Blue Badge or to receive disability benefits to be included in this definition. CRT would be discriminating directly against a disabled boater contrary to Section 15 and Schedule 2 of the Equality Act 2010 if it treated the boater unfavourably because of their disability by taking enforcement action against them for allegedly failing to comply with section 17(3)(c)(ii) of the British Waterways Act 1995 in circumstances where an non-disabled boater would be able to comply. Section 19 and Schedule 2 of the Equality Act 2010 mean that CRT is required not to apply its enforcement procedure to a boater with a disability in a way that puts them at a substantial disadvantage compared to persons who are not disabled. In other words, if a boater with a disability is unable to comply with Section 17 3 c ii of the British Waterways Act 1995 in circumstances where an non-disabled person would be able to comply, CRT is not entitled to terminate their boat licence. Sections 20 and 21 of the Equality Act 2010 mean that CRT is required to take such steps as are reasonable (“reasonable adjustments”) to avoid putting boaters with disabilities at a substantial disadvantage compared to persons who are not disabled. This is because CRT’s enforcement of Section 17 3 c ii would result in the removal of their home from its waterways if applied to the disabled boater in the same way that it is applied to boaters who are not disabled. A boater with a disability is entitled to tell CRT what adjustments they require and CRT is required to make these adjustments if they are deemed reasonable. Reasonable cannot be defined in advance, but if an adjustment is recommended by a GP this should be taken as reasonable. Section 20 of the Equality Act 2010 means that CRT is not entitled to require a disabled person to pay any of its costs in complying with its duty to make reasonable adjustments, because to do so would be discrimination in itself. Therefore CRT is not entitled to charge a disabled boater for staying longer than 14 days in one place, or to require the disabled boater to pay for a temporary or permanent mooring, where an non-disabled boater would not need that service and therefore would not be asked to pay for it. CRT would be discriminating directly against an older boater contrary to Section 13 of the Equality Act 2010 if it treated the boater unfavourably because of their age by taking enforcement action against them for allegedly failing to comply with section 17(3)(c)(ii) of the British Waterways Act 1995 in circumstances where a younger boater would be able to comply. For example, some older boaters are less physically strong than younger people and may not be able to travel as far, or as safely in adverse weather conditions; they may not be able to travel without crew or may need to remain within reach of medical treatment for age-related conditions that do not amount to a disability. CRT would be discriminating directly against an older boater who was also disabled contrary to Sections 13 and 14 of the Equality Act 2010 if it treated the boater unfavourably because of their combined age and disability by taking enforcement action against them for allegedly failing to comply with section 17(3)(c)(ii) of the British Waterways Act 1995 in circumstances where a younger boater without that disability would be able to comply. According to Section 19 of the Equality Act 2010, CRT is required not to apply its enforcement procedure to an older boater in a way that puts them at a substantial disadvantage compared to persons who are younger and who are not disabled. In other words, if an older boater is unable to comply with Section 17 3 c ii of the British Waterways Act 1995 in circumstances where a younger person would be able to comply, CRT is not entitled to terminate their boat licence. According to Section 19 of the Equality Act 2010, CRT is required not to apply its enforcement procedure to an older boater with a disability in a way that puts them at a substantial disadvantage compared to persons who are younger and who are not disabled. In other words, if an older boater with a disability is unable to comply with Section 17 3 c ii of the British Waterways Act 1995 in circumstances where a younger person without that disability would be able to comply, CRT is not entitled to terminate their boat licence. CRT would be discriminating directly against a boat dweller who was pregnant or who has given birth within 26 weeks contrary to Sections 13 and 17 of the Equality Act 2010 if it treated the boater unfavourably because of the pregnancy or birth by taking enforcement action against them for allegedly failing to comply with Section 17 3 c ii of the British Waterways Act 1995 in circumstances where a boater who was not pregnant or who had not given birth would be able to comply. These circumstances include needing to moor in a place where the pregnant woman is able to get on and off the boat safely without needing to walk across a plank; where she needs to stay in a place where the health visitor is willing to visit her and the baby, and being unable to travel safely with a baby without a second or third adult being present. According to Sections 17 and 19 of the Equality Act 2010, CRT is required not to apply its enforcement procedure to a boat dweller who is pregnant or has given birth within 26 weeks in a way that puts her at a substantial disadvantage compared to a boater who is not pregnant or who has not given birth. In other words, if a boat dweller who is pregnant or who has given birth is unable to comply with Section 17 3 c ii of the British Waterways Act 1995 in circumstances where a boater who is not pregnant or who has not given birth would be able to comply, CRT is not entitled to terminate her boat licence. Section 142 of the Equality Act 2010 provides that a term of a contract (such as the General Terms and Conditions of Boat Licences) is unenforceable against a person in so far as it constitutes, promotes or provides for treatment of that or another person that is of a description prohibited by the Act. It also provides that a relevant non-contractual term (such as advisory guidance) is unenforceable against a person in so far as it constitutes, promotes or provides for treatment of that or another person that is of a description prohibited by the Equality Act 2010, insofar as the Act relates to disability. Section 144 of the Equality Act 2010 provides that a term of a contract is unenforceable by a person in whose favour it would operate in so far as it purports to exclude or limit a provision of or that is made under the Act. CRT may take enforcement action against you because you cannot comply with Section 17 3 c ii because of age, disability, pregnancy or maternity. CRT may also refuse to agree to the reasonable adjustments that you need and as a result carry out enforcement action against you. We recommend that you pursue this by making a formal complaint to CRT on the grounds of discrimination, in line with CRT’s complaints procedure. As well as the NBTA, you can get advice and assistance from the Equality Advisory Service (EAS): the advice, guidance and mediation arm of the Equality and Human Rights Commission https://www.equalityadvisoryservice.com/. The EAS can assist you to write a complaint and will also help you to negotiate with CRT. If there is a law centre in your area it will also provide this assistance. Below is a template complaint letter. Section 17 3 c ii of the British Waterways Act 1995 states that a boater without a home mooring is entitled to stay longer than 14 days in a place if it is reasonable in the circumstances. This is not qualified by any power to charge for a longer stay, to confer or withhold permission, or to limit the circumstances that are deemed reasonable. “Reasonable” and “circumstances” are not defined in the Act, and nor does the Act set a limit on how much longer a boater can stay in one place. There is case law (Moore v British Waterways  EWCA Civ 73, paragraph 63) that establishes the principle that “reasonable” cannot be defined in advance. There is also case law establishing the principle that a public body must have express authority in statute to levy charges (McCarthy and Stone (Developments) Ltd v Richmond upon Thames LBC  UKHL 4). We believe that any reasonable person would agree that a boater who needs access to ongoing medical treatment, who has been hospitalised, who is ill or who cannot navigate because of a disability, age, an injury, pregnancy or responsibility for children has the right to stay for longer than 14 days in one place without further charge, and should not be subject to enforcement action. This is a Level 1 complaint in line with your complaints procedure. I am not satisfied with the way that I have been treated by the Canal & River Trust. I wish to inform you that I have a disability. CRT has discriminated directly against me contrary to Section 15 of the Equality Act 2010. CRT has treated me unfavourably because of my disability in taking enforcement action against me for allegedly failing to comply with section 17 3 c ii of the British Waterways Act 1995 in circumstances where an able-bodied boater would be able to comply. CRT has provided me with no justification that this treatment is a proportionate means of achieving a legitimate aim. Pursuant to Section 19 of the Equality Act 2010, CRT is required not to apply its enforcement procedure to me in a way that puts me at a substantial disadvantage compared to persons who are not disabled. In other words, if I am unable to comply with Section 17 3 c ii in circumstances where an able-bodied person would be able to comply, you are not entitled to terminate my licence. In addition, pursuant to Sections 20 and 21 of the Equality Act 2010 CRT is required to take such steps as are reasonable to avoid putting me at a substantial disadvantage compared to a person who is not disabled. This is because CRT’s enforcement of Section 17 3 c ii would result in the removal of my home from your waterways if you apply it to me in the same way that you apply it to boaters who are not disabled. You have failed to make such reasonable adjustments. Pursuant to Article 19 of the United Nations Convention on the Rights of Persons with Disabilities, I have the right to live in the community and to choose my place of residence; I am not obliged to live in a particular living arrangement, and I am entitled to support to facilitate living and inclusion in the community. The UK is a signatory to this Convention. Therefore, CRT is not entitled to dictate that I should not continue to live on my boat. CRT is obliged to facilitate my choice to live on my boat, and it is obliged to make the use of the waterways available to me on an equal basis to the general population in a way that is responsive to my needs. Ensure that the needs of people with disabilities are built into all our policies and plans. Ensure that staff are aware of and supported in meeting the needs of people with disabilities. Ensure that the needs of people with disabilities are taken into account in the delivery of services, promotional material, interpretation, education initiatives and special events. You have clearly breached this policy in my case. I require you to cease and desist from discriminating against me directly and indirectly on the grounds of my disability in contravention of the Equality Act 2010. I look forward to your reply within 15 working days. NBTAL Public meeting on facilities agreed with Sowar and Sam from CRT presenting CRT plans for more facilities in this financial year and the next. 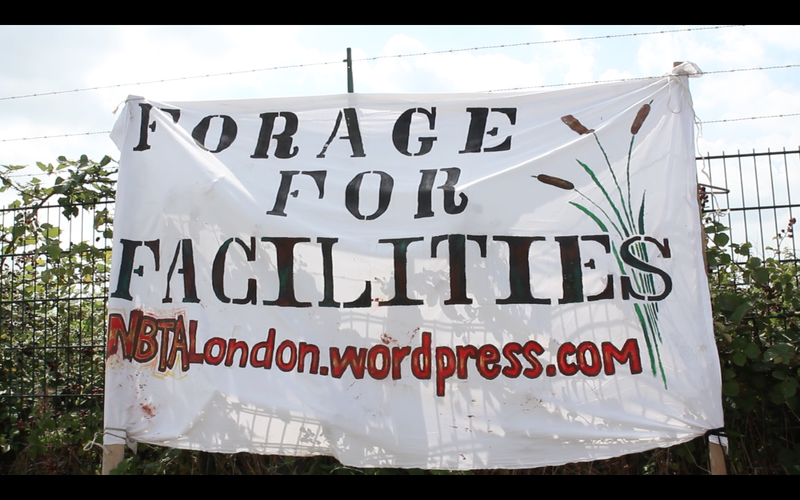 Date is Wednesday 9th at Save the Date Cafe in Dalston, seating 50-60 standing 100-200. Food will be served plus bar AFTER the event. NBTAL to promote. Running order – NBTAL speaker followed by Sam presentation followed by Q and A chaired by Helen Brice. This is a meeting on facilities and maintenance and will be chaired as such – we will be pushing for a public meeting on enforcement with next if that is what the NBTAL decides. Old Ford Lock toilet will be open within three weeks. Plus rubber round elsan lid to stop banging. NBTAL signs asking boaters to be careful what to put in them. NBTAL members to keep an eye out for vandalism. Showers at Stonebridge. CRT spent £10,000 on vandelised facilities. Stonebrifdge will be fixed are not being removed but problems with rough sleepers using them and chronic vandalism so if vandalism continues they will think again. NBTAL suggested Cafe be part of monitoring plus local boaters. 2 extra bin points –Southall bankside, Alperton at the pub. NBTAL to promote pub as a good place to have a beer for Landlord agreeing to host bins once bins are in place. One pump below Sturts Lock plus elsan and water tap to replace promised one for Bluebell moorings. Money for more mooring rings. How much? Depends. Suggested Haggerston big empty strip. Problem with school opposite but will look into it. New Eastwick Permanant Moorings on River Lea (near Olympics) – the facilities (pump out/elsan and water tap) will be available and live soon). Looking into more ways to sell pump out cards boater’s ideas welcomed. Cafe Stonebridge? Oil disposal planned this financial year. Next financial year? Broxbourne? Open to offers. Kensal Green? Sainsburies stonewalling otherwise CRT would be willing to put bins and tap maybe elsan there. How about boater’s campaign to ‘persuade’ Sainsburies to relent? Go ahead. What about regular runs by a CRT boat to collect refits and big items? Possible but a lot of canal to cover. More like regular disposal spots for collection so don’t clog up waste bins. NBTAL – What about bringing the disused dry dock at Bulls Bridge back into use as a low cost DIY spot for boaters? Sam – Good idea – there is one in Wigan and that works. Sam to look into that. Boaters with restricted licences are no longer barred from voting in CRT Council elections following a U-turn from CEO Richard Parry after National Bargee Traveller Association members raised their concerns at the September public user group meeting in London. Boaters with ‘restricted licences’ can vote, sponsor candidates and stand for election to the Canal & River Trust (CRT) Council following the intervention of the National Bargee Travellers Association (NBTA). The rules of the election state that “to be eligible to stand for election, sponsor an election candidate and vote in the election in [the private boating] constituency, you must hold a 12-month canal or river boat licence on 30 September 2015”. Chief Executive Richard Parry told the NBTA that CRT had no idea that preventing boaters without home moorings from renewing their licences for 12 months would disenfranchise them from the forthcoming CRT Council election, and that this was not an intended consequence of the new enforcement policy. The NBTA raised the issue at the CRT User Forum in September 2015. Mr Parry confirmed to the NBTA later last month that the standard invitation to take part in the election had been sent to those boaters who have been stopped from renewing their licences for 12 months. The deadline to nominate candidates is 14th October 2015. CRT’s new policy, effective from 1st May 2015, unlawfully imposes a minimum range of movement contrary to Section 17 (3) (c) (ii) of the British Waterways Act 1995. The Act does not specify a minimum distance or range that is required for compliance, beyond the limit of 14 continuous days in any one place. Yet CRT has stated that unless boaters without home moorings travel in a range of at least 15 to 20 miles, and CRT would expect the range to be greater than this, their licences will not be renewed for the full 12 months unless they take a home mooring. When CRT’s predecessor British Waterways (BW) tried to impose a similar regime (the ‘Lock Miles Rules’ in 2003), the threat of legal action forced BW to drop the proposal. In December 2012 CRT’s own Towpath Mooring Q and A conceded that the Trust would be acting beyond its powers if it set a minimum distance. An estimated 350 to 400 boaters without home moorings have had their licence renewal refused for the full 12 months due to CRT’s new policy. Extrapolated over a full year, this figure shows that around 25% of boaters without home moorings are at risk of being evicted from CRT waterways and having their homes seized and destroyed. The NBTA will take whatever steps are necessary to defend bargee travellers against this attack on the right to use and live on a boat without a home mooring. Any British or EU citizen has a right to register with a GP to access primary care services. It doesn’t matter what anyone says otherwise, that is your right. However, GP practices don’t always accept that straight away and will demand proof of address. They might even tell you that it is impossible to register you without proof of address because a higher authority will not let them. This is not true. GP practices have always had the discretion to register patients out of their catchment area and having no proof of address is not a legitimate reason to refuse your registration. Some GPs will register travelling boat dwellers without any hassle. Simply go and register and provide an address where you would like your letters to go. If you don’t have an address, ask them to put down the address of the practice. It may help, when you go in person, if you take in a copy of this post and the document ‘who pays’ (the link is in the article). Also note that some GPs take a letter from your bank as prove of address, so if you can take in a letter from your bank to the address you want to use. If they are still refusing to register you, (and they might), write an email to NHS England. In the email or letter to the practice, state that you live on a boat without a home mooring and that the GP practice is refusing to register you as a patient. Attach a copy of the NHS guidance document above and why they shouldn’t have refused you. NHS England should get back to you and say that you should not have been refused registration and to tell you to tell the GP practice that NHS England said they should register you. Then send a letter or email to the GP practice saying you have talked to NHS England and that you shouldn’t have been refused registration at this practice and include a copy of the letter/ email from NHS England. Please click here for template letter for NHS england, amend as necessary and make a note of when you send things out.